Having bought your next gen TV it seems only natural to extend the modern look when shopping for a new TV stand. Whether you choose a compact open shelf or closed cabinet, trendy curved glass unit, or a Cantilever TV stand you know the style will depend very much on the shape of room. Stylish TV furniture and AV stands come in various sizes and it’s essential you get the one that is right for your TV and room layout. Buying a Media entertainment unit with cable management is a perfect way for housing the various Hi Fi and AV equipment keeping everything neat and tidy. To maximise your living area place your TV and corner unit in the best viewing position for all to enjoy. Creating a compact ordered space doesn’t have to mean compromising on style. Elegantly designed media units house more than just the screen they come with drawers and shelves for DVD players, set top boxes, extra remotes and whatever else you need to keep your corner looking tidy. Many feature openings at the back for wires and cables. Modern and traditional corner TV units come in light and dark wood, black and clear glass, white and French style designs. In addition to wood and glass cabinets, toughening glass TV stands come with built-in TV and sound bar mounts offering another space saving option. For those that prefer to steer away from wall mounting there are plenty of media cabinets, TV stands and sideboards for your TV and audio equipment. 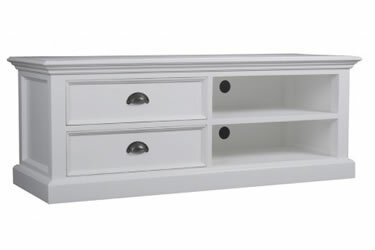 Today’s modern TV stands like the Greenapple Niche stand with its floating shelf and new curvier designs are nor only functional but demand attention. Rounded AV furniture are perfect for curved television screens as well as flat screens and are ideal in a corner or open space. TV mounting has been made simple too with cantilever and TV stands with integrated TV and sound bar mounts. New designs fit neatly against the wall and come with a central column to disguise any connecting cables. These contemporary TV units suspend the screen as if on the wall making a space saving alternative to conventional light and dark wood TV stands. You can easily bring the luxe style in your home with quality wooden furniture and cabinets. Today’s collection of media units include various designs to fit all shapes of rooms with a choice of light and dark wood. 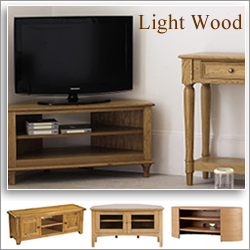 Give your living space a fresh new look with a light wood media cabinet. Keep it simple with lighter wood accents and clean lines around the room for a spacious feel. The elegant round Tom Schneider Curvature 1500 TV stand at John Lewis is an ultra modern look and ideal for the new curved television screens up to 65”. The specially designed curved edge TV stands fit seamlessly into a corner and are the perfect fit for a curved TV. 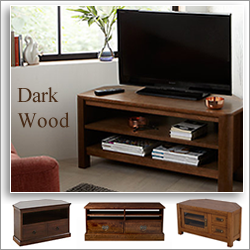 Find new style dark wood television stands, media units and corner TV cabinets at a range of prices. A collection of dark wooden corner TV units add character to a room and solve the problem of awkward angles making the most of your living space. Warmth radiates from the rich tones of dark wood and opens the way for matching pieces to be placed around the room. Designs include dark wood veneer and black glass TV stands in chocolate walnut, open shelf double door TV cabinets in stained oak and corner TV units with back cut out, 2 drawers and shelf in Sheesham hard wood. Laura Ashley TV furniture includes large media units with 3 drawers, TV/DVD units in chestnut brown and black hand painted solid wood corner cabinets. 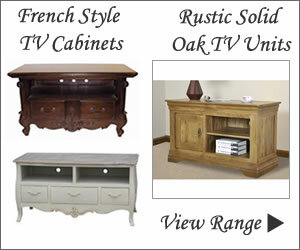 Discover beautiful hand carved antique French TV cabinets inspired from the 18th century in mahogany, ivory and oak. Entertainment units crafted from a mixture of alder and cherry veneers come with a touch of French inspired curves for an elegant finish. Simple lines gracefully designed in rich wood tones will add warmth and charm in any space. 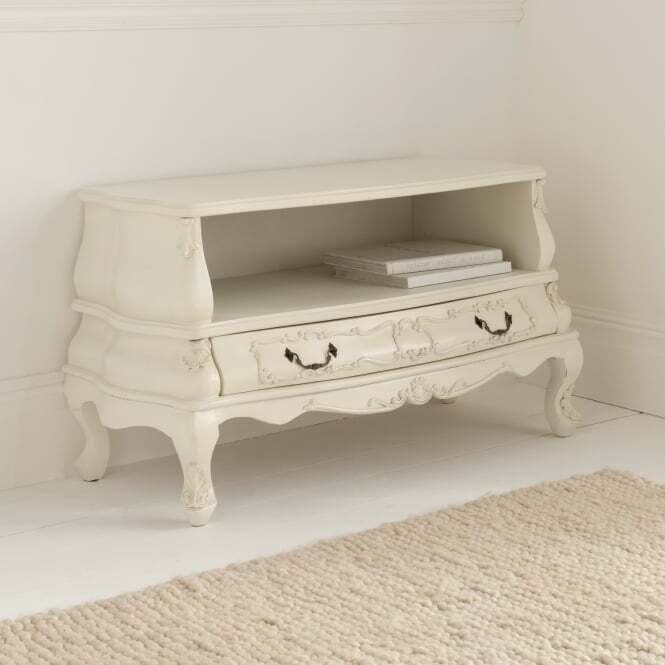 Many wooden Antique French style TV stands are part of a furniture range with matching pieces to complete the look. 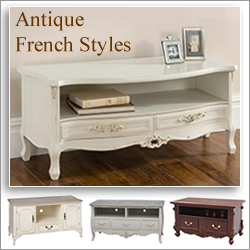 Classic French designs create a wonderful image of the past and a unique focal point in your living room. 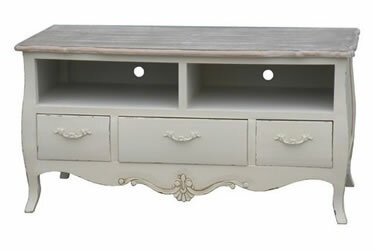 Shabby Chic media and TV units add further vintage appeal with their distressed effect and contrasting drawers and table top. Here at Corner TV Units we have complied a comprehensive collection of TV media units and home entertainment centres in a variety of finishes and styles. You’ll find glass television stands, modern flat packed and fully assembled black glass TV stands with shelves for all your home cinema equipment. 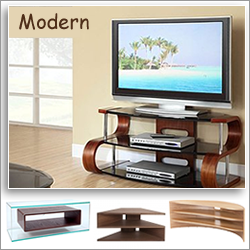 Glass TV stands have been around since the earliest flatsceen TVs and remain a favourite choice for a modern home. 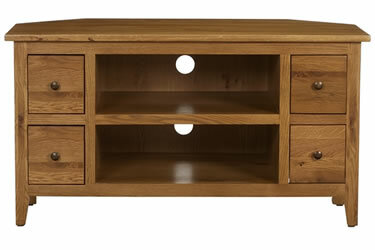 Affordable TV stands can be found in oval, curved, corner shapes and extra wide with or without shelving. 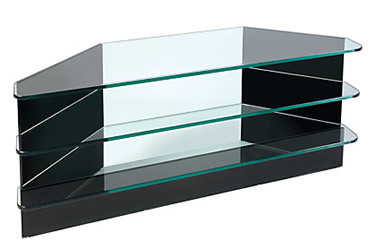 Luxury glass TV units at a higher price offer show stopping appeal with stunning finishes. AVF, Alpason, Off the Wall, BDI, Techlink TV Units demonstrate the high quality build and design features coming on the market today. Techlink AI110 Air TV Stand for TVs up to 55"
John Lewis WG1200 TV Stand for TVs up to 60"
John Lewis GP1140 TV Stand for TVs up to 55"
Finding the right TV stand to accommodate the size of your Television is one of the things to consider but shapes and colour are equally important. Here you will find a collection of high gloss, low, tall, wide and curved white media units in traditional and modern styles with cable tidy and storage space solutions. Create a stunning focal point with the BDI white TV stand for TVs up to 82”, a unique home theatre cabinet with a polished gloss finish and tinted glass doors. Whether it’s diamond white gloss, ivory, cream or a combination of painted white with oak or pine white TV stands offer a stylish and contemporary housing solution for the latest AV equipment. Unless you prefer to have your new TV hanging from the wall the next best thing is a wood TV cabinet. 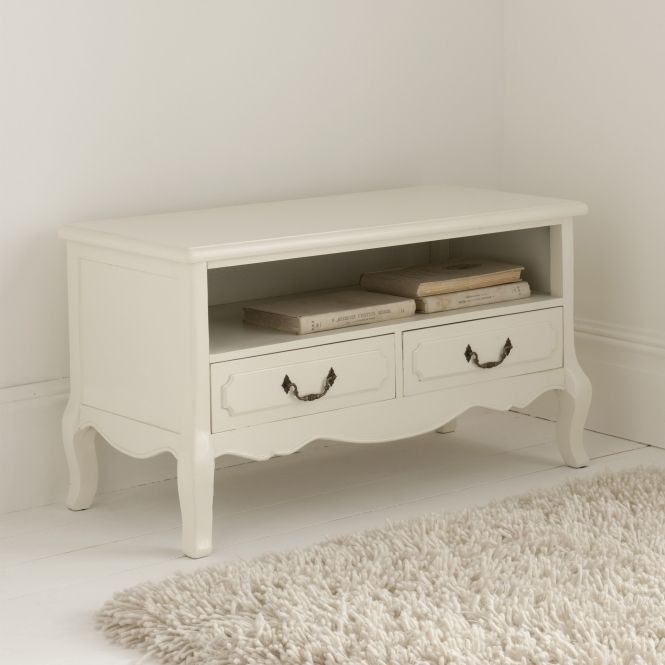 Traditional media furniture with drawers, doors and shelves offer a practical storage solution and look great too. 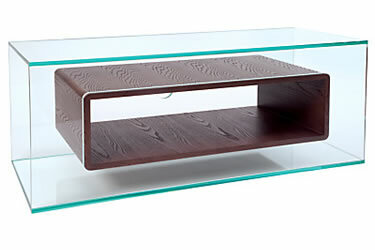 AV furniture is available in various forms and can combine a mix of wooden and glass designs. You’l find clear and black glass, light and dark wood plus contemporary styles. 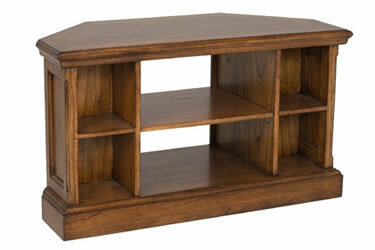 But classically designed corner TV stands and entertainment units work well for many. These can incorporate plenty of storage space with handy drawers. Choose your style of television cabinet with drawers and shelves from a selection on finishes including solid oak, pine, wood veneer and glass, black oak, white, mahogany and walnut.